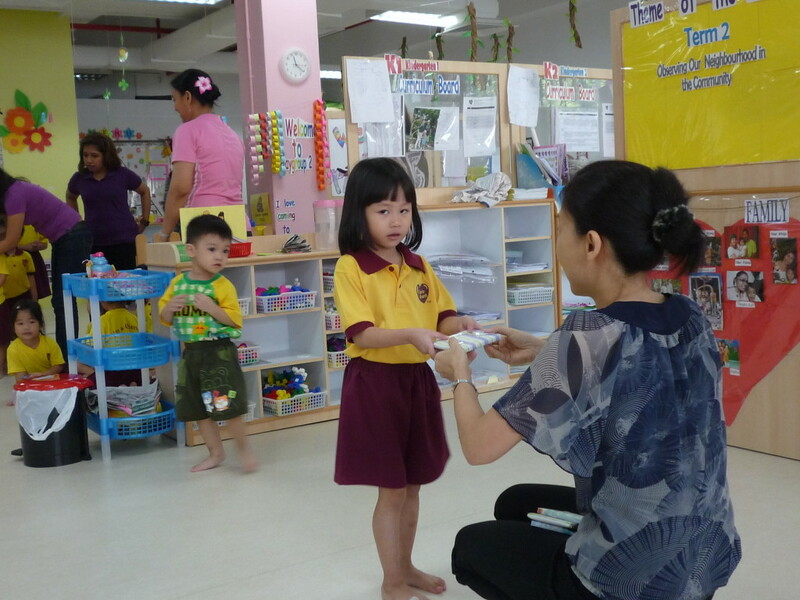 As I was on maternity leave, I went to Dawn’s sports day at her child care centre. 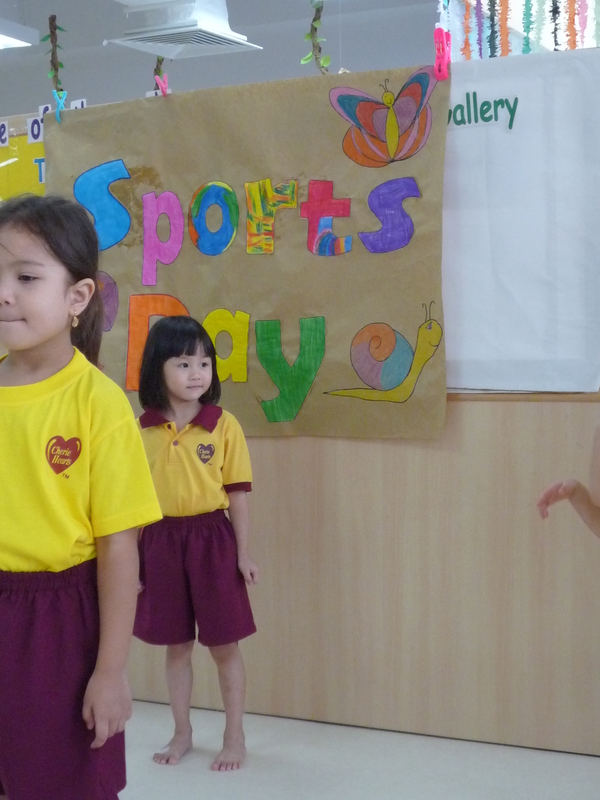 What surprised me was the performance that started off the sports day, and Dawn was one of the performers! 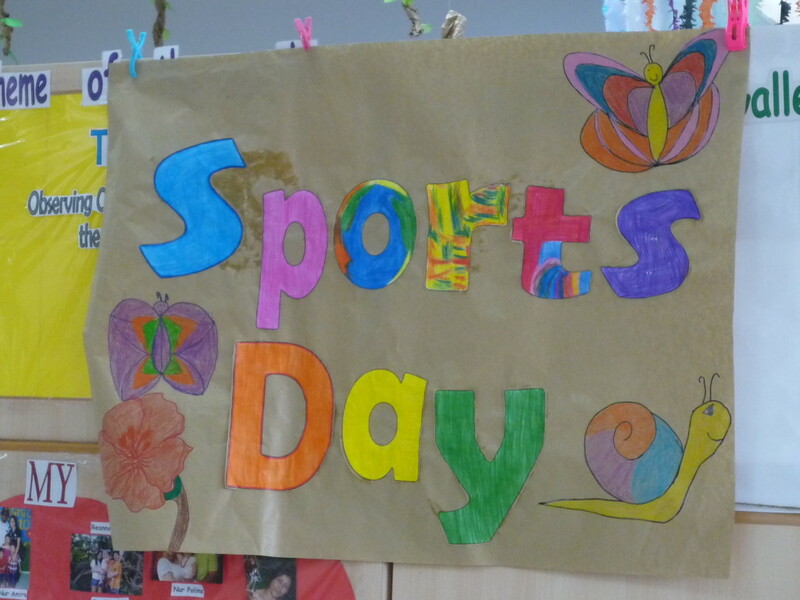 I am really glad that I had made the choice to attend the sports day. 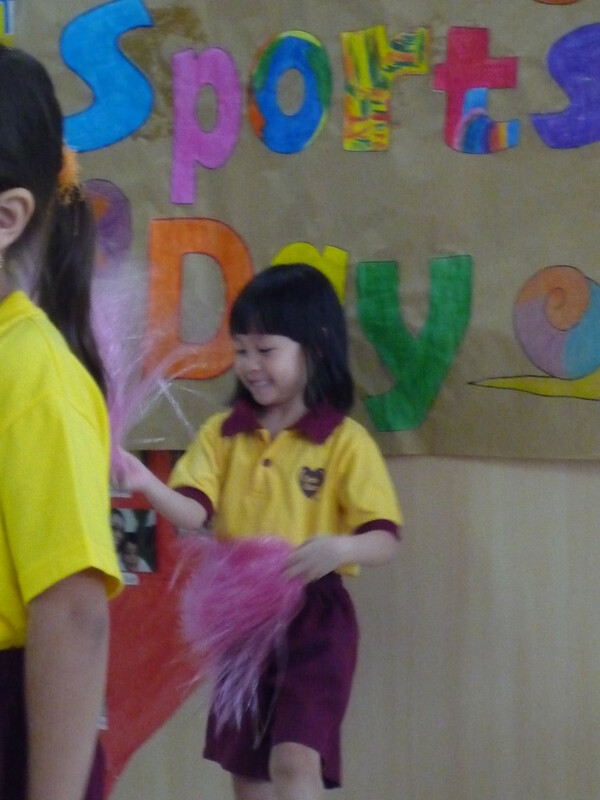 Look at her shaking her little bum! So cute right! 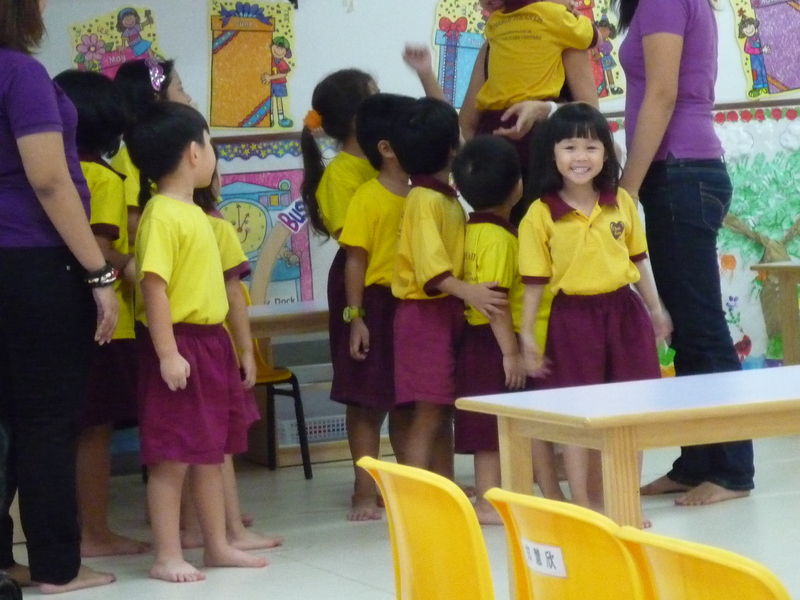 In case you can’t spot her, she is the one standing at the 2nd row and just below the Sports Day Banner.